Florida Public Utilities offers Free Energy Check-Ups to all our natural gas and electric customers. Also referred to as energy audits, Free Energy Check-Ups allow us to generate a personalized analysis of your home’s or business’s energy usage. 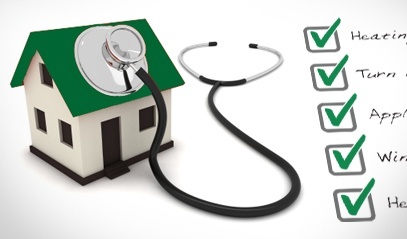 Here are four reasons why you should sign up for a Free Energy Check-Up this year! Our Energy Experts are trained to help you save money on utility costs. During your Free Energy Check-Up, they will look at every aspect of your home or facility’s energy usage, and give you a written report on what they discover. Our Energy Experts will even review your utility bill history with you, and explain anything you don’t understand. All to provide you with a personalized plan filled with tips and recommendations for saving energy to help you learn everything you can do to keep your energy costs down. When you schedule FPU’s Free Energy Check-Up, not only can we help you save energy and make your bill lower. We can also inform you about rebates, programs and other incentives that may be available to you. This information can be especially helpful if (or when) it’s time to replace old appliances or commercial equipment, or if you’re currently considering making any energy-efficiency upgrades. After all, these rebates can be quite sizeable depending on what equipment you need to replace. See a list of rebates currently available. There is a science to building, as well as energy use. Our Energy Experts know what to look for, and will suggest the most economical improvements you can make to increase the energy-efficiency of your home or business. Once your Free Energy Check-Up is complete, you will receive a printed report detailing specific ideas on how to keep your utility bills down. Plus, beyond providing you with an itemized list of the improvements you should make in order of priority, our Energy Experts are also committed to making sure you understand the rationale behind each improvement. Sorry to say, but most companies offer free energy audits merely as a way to sell products. In cases like these, consumers are at the mercy of a salesperson for information. They may also end up wasting money on something that will not deliver as much as a salesperson claimed. On the other hand, FPU’s Free Energy Check-Ups are conducted by Energy Experts—not salespeople. We are not attempting to sell you anything. Therefore, our recommendations are based on honest insights, not sales pitches. We offer Free Energy Check-Ups as a free service for all our electric and natural gas customers. Our Energy Experts are trained and ready to help you save energy in the most economical ways possible. Sign up for a Free Energy Check-Up today! You can also schedule one over the phone by calling 888.880.0973. Submit your comment – plus, see what other people are saying.